Anyone who has played any version of EA Sports’ FIFA would’ve tried to sign Lionel Messi at least once, and has most probably failed. However, a genius new trick on FIFA 18 has surfaced, that lets players sign the best footballer in the world for a price next to nothing. Youtuber BMOnus has finally answered the call of many gamers who want the decorated forward on their Career Mode team. Though the process has a few steps, it’ll all be worth in the end. BMOuns pointed out in his video that if you insert ’60 per cent transfer budget increase’ clause in your Career Mode save, it offers you a better chance at signing the Argentinian. Further, though the genius Youtuber signed Messi for Brighton, the process is easier if your side belongs to the top 6 of the league. After the setup parts are completed, go to the club finance section and change the wage budget to £500k, which is around the Barcelona superstar’s weekly wage demand. Though the La Masia graduate’s market value would be of £92.5 million in the game, you’ll find his contract expires in 12 months. Shortlist him in the game’s Transfer Hub and wait till the January transfer window arrives. 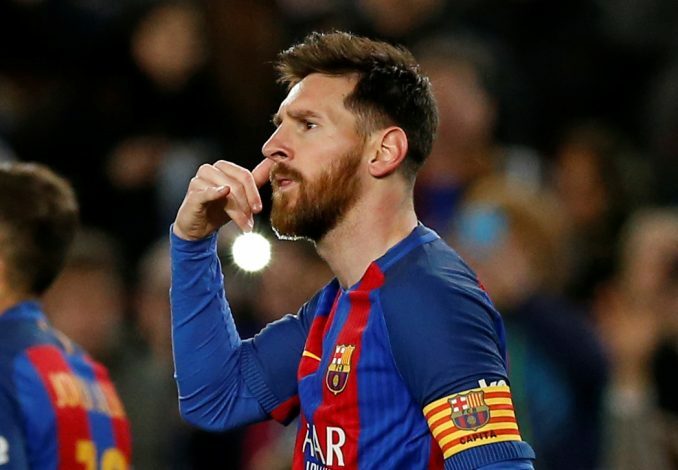 Once the window is open, initiate the negotiation with Messi, whose agent will demand £430,000 a week and a signing bonus of £4,250,000, which will also include a £9.7 million fee after 20 appearances. In order to land this mega deal, you’ll have to accept all the conditions laid by the agent; given that none of the club’s finance has been used in anyway. Finally, you will have to pay a £4.25 million signing bonus. If all is done as per these steps, you will now have signed the highest rated player on FIFA 18 for a mere £13 million. Undoubtedly, the best deal a gamer can pull off in the whole game.